This year an estimated 252,000 new cases of breast cancer are expected to be diagnosed in women in the U.S., with another 63.4K non-invasive types. That means at the current rate of progression, 1 in 8 women will be diagnosed with some form of invasive breast cancer in their lifetime. For men, more than 2,400 new cases will be diagnosed this year, or a chance of 1 in 1000 in their lifetime. The good news is that over the past decade these numbers have been in decline, and some of the reasoning is tied to awareness, accessibility of testing, and better treatment. Regardless of the decline, an estimated 40,610 women will die this year because of breast cancer, and that is why new organizations continue to fight back against it. 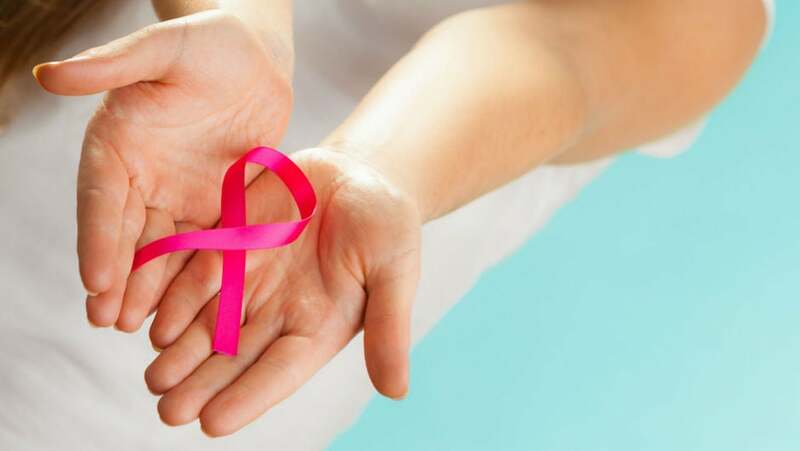 Now in the middle of Breast Cancer Awareness Month, we’re taking a look at some of the ways startups have been combating the disease, and how examinations are becoming more accessible around the world. Low-Cost or Free Mammograms in the U.S. Thanks to the Affordable Care Act, commonly referred to as Obamacare, since September of 2010 all new health insurance plans are required to cover yearly mammograms with no out-of-pocket-costs for women ages 40 and older (risk begins to increase at this age). In addition to ACA, Medicare and Medicaid typically cover the exams in the same manner. Unfortunately in America an estimated 28 million people are still uninsured (down from 44 million according to the Kaiser Family Foundation), which means there are millions of women who are not covered. Before we highlight the various startups helping to fight back against breast awareness, here are a few resources that can help identify low-cost or free mammograms around the U.S. The American Breast Cancer Foundation provides financial assistance to cover the cost of tests and post-tests. Since launching the program they have helped more than 1,300 women identify a breast cancer diagnosis, with more than 46,300 grants provided. The National Breast and Cervical Cancer Control Program a CDC program also provides access to breast cancer screening. Planned Parenthood also assists with referrals and coverage of exams. During Breast Cancer Awareness Month, this month, many imaging centers around the nation offer mammograms at lower costs, and in some cases have a dedicated touring bus that make the exam even more accessible to those in specific communities. Reno, Nevada based Cyrcadia Health, creator of the iTbra, offers a discreet insert that goes under any bra, and empowers women to enhance their monthly breast self-exam in their own home. Their patches detect circadian temperature changes within breast tissue, and uses machine-learning algorithms to collect data and communicate it to Cyrcadia Health. Surginet has patented a mesh that’s used for breast reconstruction after a mastectomy. Pennsylvania based UE LifeSciences created a breast exam device that uses cold air and heat sensors to check for vascular responses, metabolic activity, and thermal symmetry between breasts. Called the NoTouch BreastScan, this works different from a mammography that tests for physical concerns like tumors. Chicago based Latona Therapeutics is working on a new drug-delivery technology that uses light-activated nanoparticles to directly target cancer cells and avoids healthy cells. California based B4BC or Boarding for Breast Cancer offers a free app that contains important educational materials on breast cancer awareness, reminders for monthly examinations, and information on how to perform a self-examination. The team is also typically on the road and brings their form of awareness to surf, skate, and various other board sport based events. Chicago based Actuate Therapeutics is a biopharmaceutical company focused on the development of compounds for use in the treatment of cancer, and inflammatory diseases leading to fibrosis and neurodegeneration. Their work has led to some fascinating results around anti-tumor activity in the brain, pancreas, lungs, and breasts. Chicago based GliaLab offers uses data-driven artificial intelligence to work on existing medical imaging devices. The result is faster and more intelligent breast cancer diagnoses. Bangalore, India based Niramai (Non-Invasive Risk Assessment with Machine Intelligence) uses machine learning and AI to fight against the inaccessibility of breast examinations. They use a low-cost, portable device that takes high-res thermal images, or an alternative to traditional mammography exams and may be better with early indicators, too.